Do clients do what you tell them? I explained that I don’t tell my clients what to do. Instead, we discuss the issues, sometimes crises, that the client has raised. Together we explore their implications, possible courses of action, and the risks and benefits of each. The value of consultation is that it provides confidential exploration with a fellow, experienced, professional. The result is greater understanding of the options and likely better decisions. 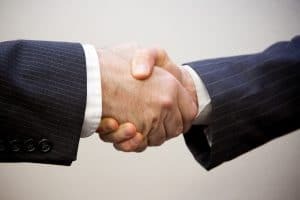 While sometimes it is the consultant who makes the preferred suggestion, very often it is the client, who, in the course of the discussion, comes up with his or her preferred course of action. There are seldom obvious, “perfect”, solutions. (If there were, there would be no need for discussion.) Often, there will be some negative consequences to whatever is done. It is the leader who will live with those consequences who must decide on the solution that he or she finds most comfortable, or, sometimes, least uncomfortable. The consultation enables the client to proceed more confidently, and more assured that all options and their implications have been considered. While the leader may at times have no choice but to choose an imperfect solution, it will be a better informed and therefore likely a better decision.